The Jumbos’ season resumed on the road with its first event in 2019, the Northeast Fencing Conference multi-meet held at Brown University last Saturday. Tufts competed against six teams, including Dartmouth, Vassar, Brandeis, MIT, Boston College and Brown. The Jumbos started off strong with an 19–8 win over the Big Green but fell to the swords of its opponents in the following five meets. In their opening meet, the Jumbos went 9–0 in foils and 6–3 in sabre bout but lost in the épée category with a score of 5–4. Senior captain Zoe Howard, sophomore Georgia Kollias and first-year Allison Cheng all went undefeated in foil. 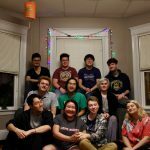 First-year Dorothy Waskow, sophomore Subin Jeong and junior Elliot Pavlovich won six of the nine sabre bouts for the Jumbos. 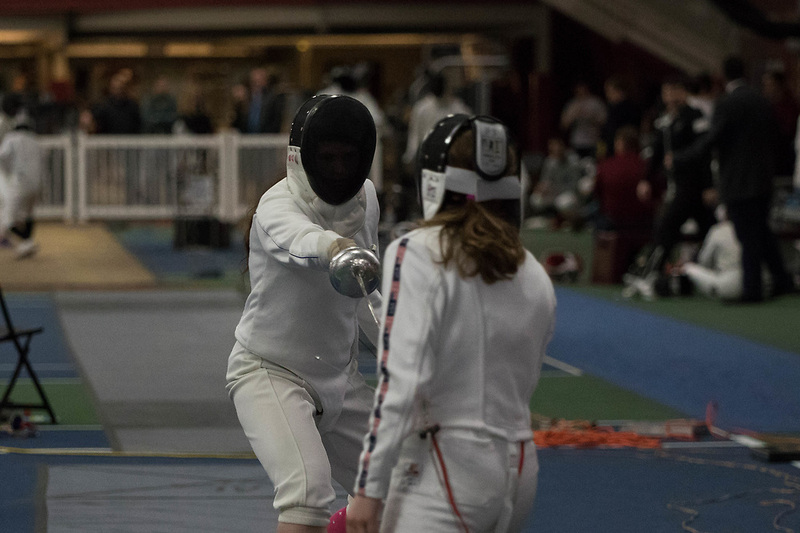 Despite missing an injured squad member and having to forfeit three bouts, senior captain Annie Ayala and first-year Hannah Fruitman only fell short by one bout in their 5–4 loss in épée. Jeong’s success was an impressive feat considering this multi-meet was her first ever major competition in the sport. Following their victorious first match, Tufts faced Vassar. The Jumbos battled for the sabre in a nail-biting 5–4 win and just missed the foil by a single bout, but Vassar barreled through Tufts’ épéeists, winning 8–1 and defeating Tufts by an overall score of 17–10. Pavlovich put on a clean performance for the Jumbos in sabre, winning all three bouts and clinching the 5–4 win. Brandeis beat Tufts 15–12 in the third round of the multi-meet. Howard swept through foil yet again with two assisting wins from newcomer Cheng to grab the 5–4 win. Jeong and Pavlovich continued their momentum with two wins apiece in sabre for another 5–4 win. However, the Jumbos had shortcomings in épée yet again with a loss of 7–2. Cheng surprised the team with her skill in her first major competition. Cheng further cemented her prominent role on the team with a commanding performance in foil against MIT, leading Tufts to a 6–3 win. But the Jumbos were not able to come up with the épée or sabre bouts, falling 17–10 to the Engineers. For their final two rounds at Brown, Tufts fell by larger margins — Boston College and Brown both beat Tufts 22–5. Though these losses stung, the Jumbos knew these two teams were their biggest competition going into the multi-meet. As the team begins their 2018–2019 season in earnest, they are looking to improve their technique and figure out strategies to lead them to success with so many fencers out due to injury. Co-captains Ayala and Howard believe much of the team’s strength comes from how supportive they are of each other, despite a negative outcome. The Jumbos compete next Saturday, Feb. 9, at the Carzo Cage in a second Northeast Conference Multi-Meet.